Interactive Spaces are physical spaces with interactivity. Imagine walking into a room and having that room recognize where you are in the room and have the room respond in some way. You can see an example above. There are cameras in the ceiling which are doing blob tracking, in this case the blobs are people walking on the floor. 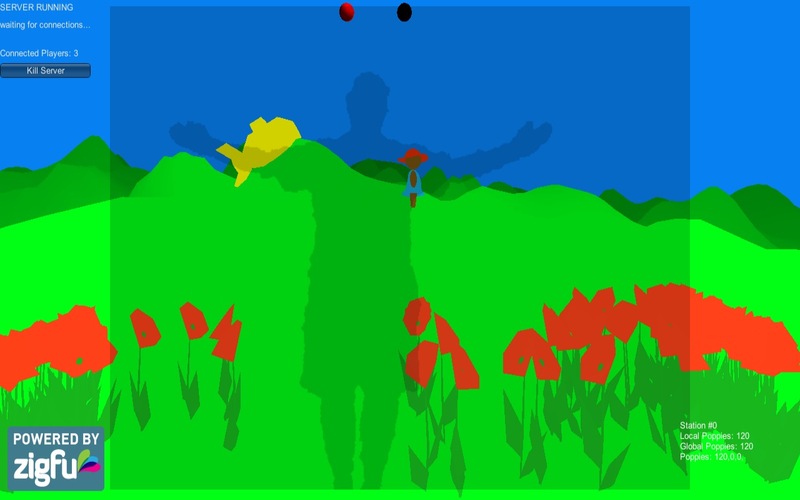 The floor then responds to the blobs by having colored circles appear underneath the feet of someone standing on the floor and then the circles follow that person around. Interactive Spaces works by having consumers of events, like the floor, connect to producers of events, like those cameras in the ceiling. Any number of producers and consumers can be connected to each other, making it possible to create quite complex behavior in the physical space. You can subscribe to the discussion group. The development codebase is found at here. This current site will contain the final release versions of the code. 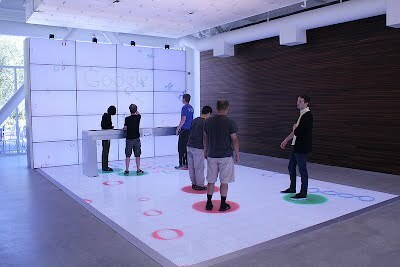 The initial releases of Interactive Spaces were written with collaboration from the folks at The Rockwell Group’s LAB. There were many conversations about how to do this kind of software and Interactive Spaces would not be what it is without their expert knowledge of interactive design, experience, patience, and many scary nights of trying to get the project done. Binary releases are found on the Downloads tab. The PDF documentation includes installation instructions.